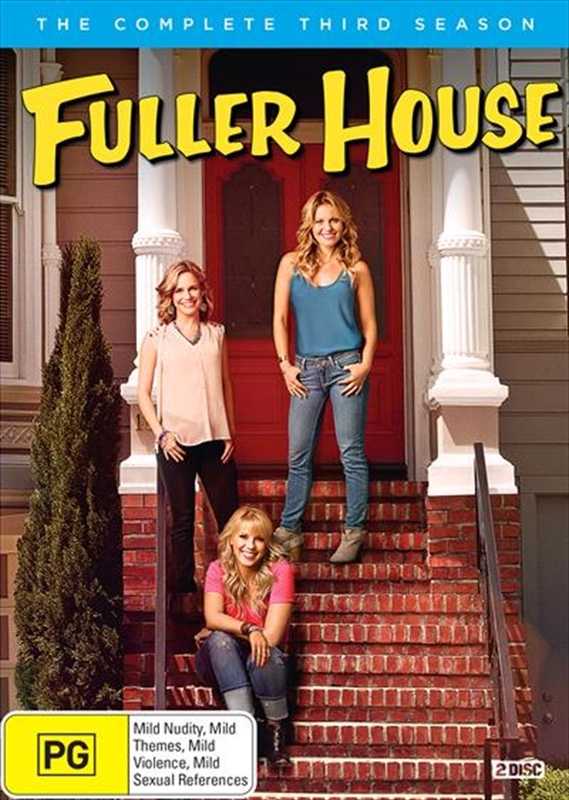 Fuller House is the long-awaited sequel to the iconic hit series Full House, created by original Full House creator Jeff Franklin. In Fuller House, the adventures that began in 1987 on Full House continue, with veterinarian D.J. Tanner-Fuller (Candace Cameron-Bure) recently widowed and living in San Francisco with her three young sons: 13-year-old daredevil Jackson, precocious 7-year-old Max and Tommy Jr., the baby of the family. D.J. 's younger sister/aspiring musician Stephanie Tanner (Jodie Sweetin) and D.J. 's lifelong best friend/fellow single mother Kimmy Gibbler (Andrea Barber), along with Kimmy's feisty teenage daughter, Ramona, all move in to help take care of D.J. 's boys. As the adults juggle careers, romances and personal lives, the boys and Ramona adjust to their new blended family, all while dealing with school, first crushes and the day-to-day challenges of being a modern kid. Full House stars John Stamos, Bob Saget, Dave Coulier and Lori Loughlin will reprise their original roles as guest stars.